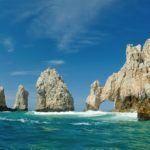 Are you ready to escape the hustle and bustle of daily life and take a dream vacation to Cabo San Lucas? Stay at the Villa del Palmar Cabo Beach Resort & Spa. A breathtaking oceanfront property beautifully decorated in warm, earthy tones that uses building materials that are environmentally friendly, Villa del Palmar Cabo offers Junior Suites, One Bedroom Suites, Two Bedroom Suites and Presidential Three Bedroom Suites…let’s discuss the differences so you can choose what Villa del Palmar Cabo suite suits you best! Travelling alone, as a couple or just don’t need a ton of space? The cozy Villa del Palmar Cabo Junior Suite features two double beds or one queen-size bed, and the bathroom is elegantly finished with high quality Travertine marble accents. A fully-equipped kitchen, breakfast bar, pull-out sofa bed and balcony or terrace will provide all the comforts of home on your dream vacation to Cabo. Are you travelling with other friends or family, and prefer a one bedroom for added privacy? The spacious Villa del Palmar Cabo One Bedroom Suite is nearly 900 square feet large, and the master bedroom includes a king-size bed and en suite bathroom with bathtub. A second bathroom off the living area is a nice feature, and the fully equipped kitchen, dining room and a balcony or terrace with ocean views will not disappoint. Travelling with another couple or children and everyone wants their own bedroom suite? 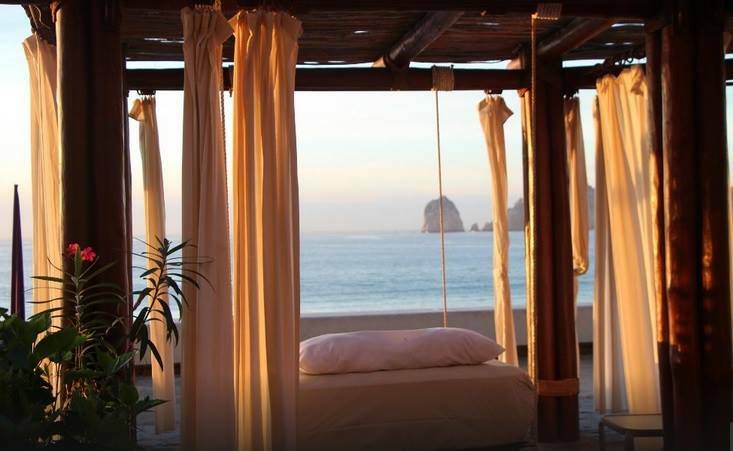 Villa del Palmar Cabo Two Bedroom Suites feature two complete master bedrooms with ensuite bathrooms. The comfy pull-out sofa bed is in the living room for extra room to sleep, and the fully equipped kitchen, dining area and 3 full bathrooms provide plenty of space even for larger groups. Sit back on your private terrace and admire the stunning ocean views. Have a glass of wine, relax and enjoy dream vacation moments with loved ones at Villa del Palmar Cabo. Do you deserve the only the best? Book the Villa del Palmar Cabo Presidential Three Bedroom Suite and you won’t be disappointed. A massive 2500 square feet, the Presidential Three Bedroom Suite has three large, master bedrooms with king or queen-sized beds and ensuite bathrooms with Travertine marble accents and sunken tubs. Bubble bath time anyone? The extra spacious living room includes a pull-out sofa bed, entertainment center, and several comfortable lounging areas ideal for special dream vacation moments with your loved ones. A fully equipped kitchen, dining area that comfortably seats 8 people, and an expansive private, terrace with patio furniture complete this luxurious suite. 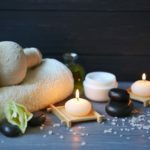 What better way to destress on vacation than having a massage or beauty treatment? The 31,000 square foot Villa del Palmar Cabo Desert Spa is a great place to make some time just for you. Or do you prefer to start your day with a great workout? The fully-equipped fitness center has all the equipment and exercise machines you need, and you can even send the children to the Kids Club while you work out so they can have some fun of their own. Villa del Palmar Cabo has an abundance of on-site activities, services, fine dining restaurants and several beautiful pools. What more could you want to complete your dream vacation plans? Villa del Palmar Cabo is situated right on the popular Medano Beach, with its stunning views of Land’s End and the El Arco rock formation. Make your ultimate dream vacation reservation today at Villa del Palmar Cabo…see you in paradise! 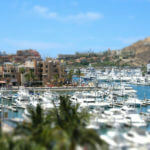 Share the post "Escape to Villa del Palmar Cabo"